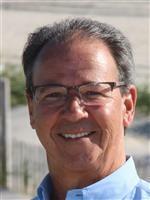 Long Beach Island LBI real estate is an ideal purchase for people who want to live on or near the water. Long Beach Island is an 18-mile long barrier island off New Jersey's coast. The widest part of the island is only half a mile wide so every home on the island is near the water. Long Beach Island water front properties include four-bedroom houses with multiple decks. Other properties on the water are condos with two or three bedrooms. Some of the Long Beach Island luxury homes for sales on the water are houses with eight or nine bedrooms. Features in these homes may include pools, outdoor kitchens, spacious decks and fireplaces. The municipalities in Long Beach are Barnegat Light, Beach Haven, Harvey Cedars, Long Beach Township, Ship Bottom and Surf City. People who purchase Long Beach Island homes for sales in any municipality will find themselves close to all of Long Beach Island's attractions. The beaches are a big attraction on Long Beach Island. People who own Long Beach Island water front properties will enjoy being close to all the recreational opportunities at the beaches. There are places to surf in Beach Haven and Surf City. Swimmers and sunbathers can enjoy beaches in Barnegat Light, Surf City, Ship Bottom and Harvey Cedars. People who want to spend time on the water can take cruises or go fishing on a charter boat. Long Beach Island has places besides the beaches where residents can enjoy the outdoors. The Maritime Forest Trail in Barnegat Lighthouse State Park winds through the remains of a maritime forest. There are more than 50 species of birds at the Holgate Unit of the Forsythe National Wildlife Refuge on the southern tip of the island. There are plenty of things to do indoors on Long Beach Island. Museums on the island include the Long Beach Island Museum and the New Jersey Maritime Museum. People who have just purchased Long Beach Island luxury homes for sales can purchase items for their new homes on the island. Island shops offer furniture, antiques and artwork. Some Long Beach Island homes for sales are less than 50 miles from colleges in the area. The Richard Stockton College of New Jersey is in Galloway. Atlantic Cape Community College is in Atlantic City. Georgian Court University is in Lakewood Township. Those who have purchased Long Beach Island homes for sales can take trains or planes to other parts of the United States. The Amtrak station in Atlantic City is a 43-mile drive from Long Beach Island. Passengers can take the Thruway Train from Atlantic City to Philadelphia. Travelers can take trains from Philadelphia south to Florida or north to Vermont. Philadelphia International Airport is approximately 70 miles from Long Beach Island. Domestic and international flights leave from this airport.